You don't need to be an entomologist to help the Bohart thrive! 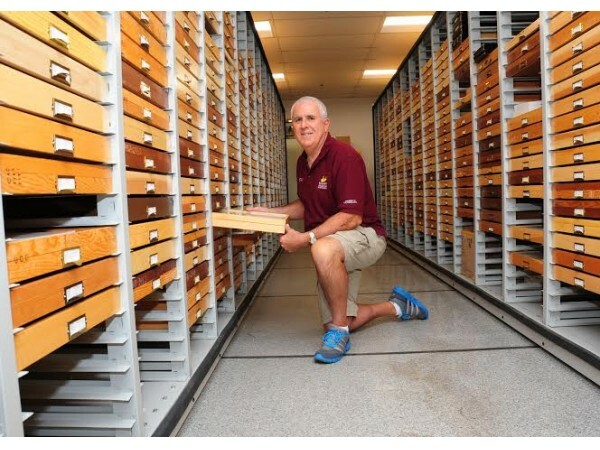 Over the years many people have loaned their time and talents to making the Bohart the world class research collection and museum that it is today. In return volunteers learn new skills, make new friends and feel the satisfaction of doing good and useful work. Read about Jeff Smith's story here. Contact us if interested. We are frequently in need of help from people who are detail-oriented, can commit at least three months, and are at least 16 years old. Jeff Smith at the Bohart. Photo by Kathy Keatley Garvey.